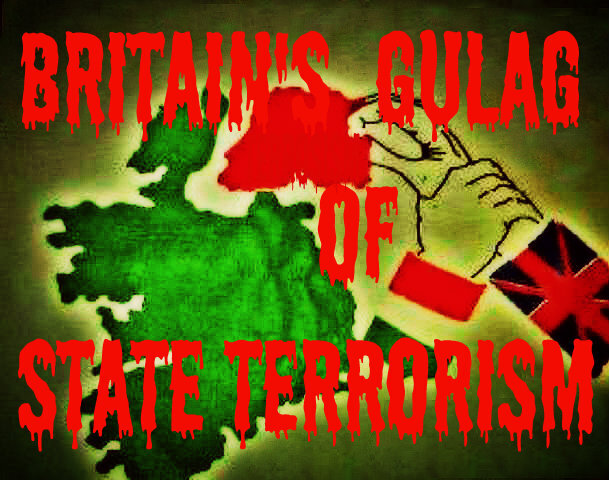 Police state measures reflect British current policy, in what is supposedly a peace process in British Occupied Ireland. Compromised civil liberties expanded secret service surveillance, eroded habeas corpus rights, formalized secret service tribunals, permitted psychological torture and internment without a transparent trial, all in the name of the terrorist narrative. 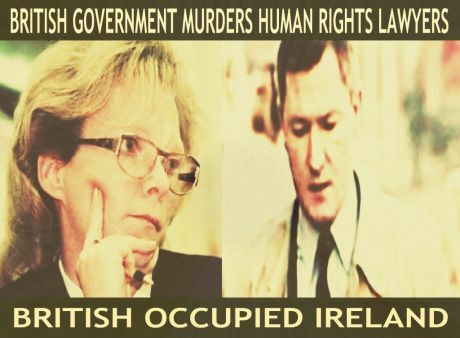 All of this continues while at the same time, the British Government itself is being exposed for its state terrorism of murdering human rights lawyers in British Occupied Ireland. Political prisoners like Marian Price and Martin Corey languish in Britain's gulag of human rights abuse and war crimes. Political internment is a wartime act that does not belong in any pretext of a peace process. 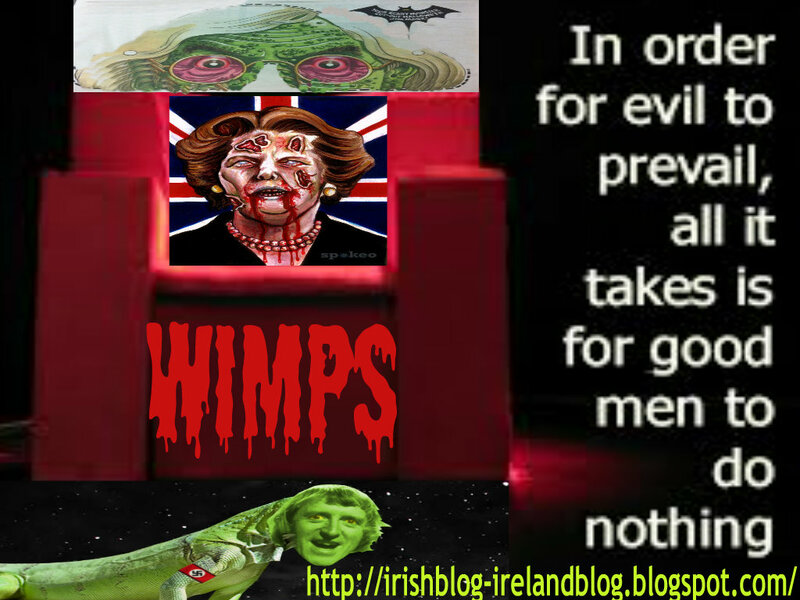 The Tory Government since coming to power have calculatedly set about dismantling peace in Ireland, by breaking its commitments item by item to the undertakings given and compromises made on both sides, in the interests of peace. The truth is, that unlike eternal war, there simply is no money in peace, for the Tory British Government, heavily in debt to the election sponsorship of Britain's industrial war complex and the vested interests of an ever growing securocrat budget, rationalized on the contrived terrorist narrative. 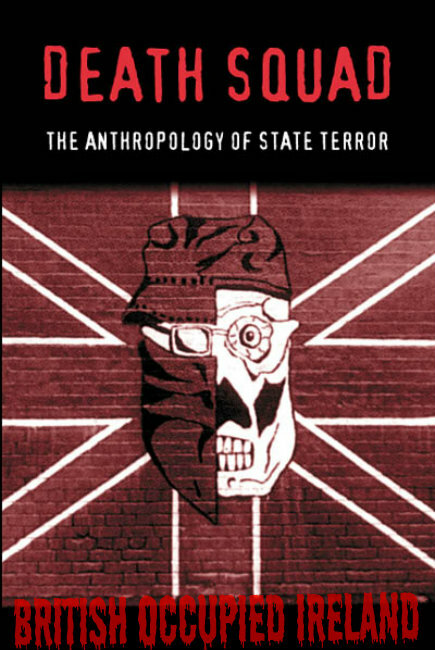 The counter-insurgency laboratory of British Occupied Ireland, serving as a shop window for evolving British crowd control measures, techniques and equipment is a vital ingredient to a Tory led Britain, marketing its murder hardware of international war crimes, to former ex-colonies of its commonwealth and oil rich regime changed with covert invasions of international state terrorism. They said they would look into it no further eventhough they admitted there was state level collusion in the british government..
We dont live in a democracy,the people have a right to know,and these people who colluded in the assasinations should not be allowed to walk free,get on with their lives and live on high salaries which they probably do.
" 'Impunity' means the impossibility, de jure or de facto, of bringing the perpetrators of violations to account - whether in criminal, civil, administrative or disciplinary proceedings - since they are not subject to any inquiry that might lead to their being accused, arrested, tried and, if found guilty, sentenced to appropriate penalties, and to making reparations to their victims." "IV. THE RIGHT TO REPARATION/GUARANTEES OF NON-RECURRENCE"
"Impunity, Pat Finucane, Human Rights Ireland, William Finnerty"
As people like myself know all too well, the murder (by the UK Government apparently) of human rights lawyer Pat Finucane also had the very nasty and bad side-effect of frightening all other lawyers on the Island of Ireland away from people (like myself) who need legal representation of the kind which has "what it takes" to stand up to extremely serious government crime: fairly and squarely. After about three years of trying to find a lawyer of the Pat Finucane type in Northern Ireland (between 2005 and 2007 roughly), I had more or less given up all hope of ever finding one: until one day I happened to accidentally meet two middle aged ladies who I vaguely knew, in a large supermarket in Omagh. We got to talking in a very general sort of way, and when I mentioned my "legal problem" to them they advised to that they knew a local lawyer really well, who they both felt absolutely sure would definitely help me. I gave them the go-ahead to try on my behalf, making sure they knew and understood that extremely serious government crime was the issue, and we made arrangements to all meet again a few days later: after they had talked with their "legal contact". However, when I went to the appointed meeting place some days later, neither of them showed up; and, when I accidentally met them again a few weeks afterwards, they were totally silent on the whole subject. I did not raise the issue of they failing to turn up for the meeting we had arranged, because I believed it was not their fault that their "legal contact" refused to help me: once he/she got a whiff of "government crime" being the issue I was seeking legal help for. I saw no point in causing them any additional embarrassment, and we all just pretended from then on that the conversation we had in the Omagh supermarket never happened. State sponsored murder is a extremely powerful deterrent for all would-be human rights lawyers, and the criminals in governments know that: which is why they wish to be able to keep on committing such crime with impunity. 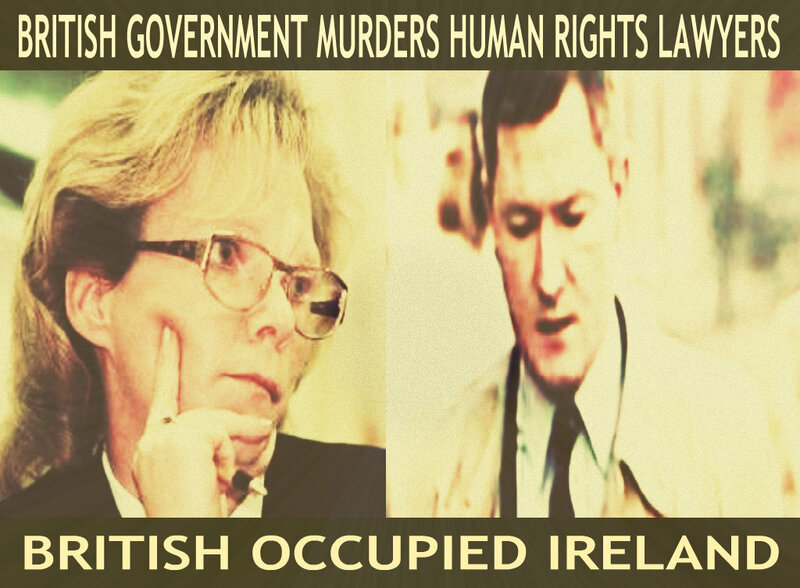 "Unable to find legal representation regarding government crime issues, Human Rights Ireland, William Finnerty"
The Shankill Butchers - Loyalists or Serial Killers? I do not think the Finucane family and the other victims relatives will ever get justice. When the system influencers can conspire and be complicit in the deaths of Officers of the Court, what chance does the ordinary citizen have? The Scottish Solicitor Willie Macraé’s, Death, in April 1985 was suspicious and demands for inquiries into this, blocked at every level by official obstruction. Information and joined up knowledge must be inputted to salvage what is left of democracy in an attempt to address what is going on and make sure it doesn’t happen again. Has anybody heard of the recent Scottish Affairs Committee Inquiry on Blacklisting of workers on 27th November 2012, in Parliament or saw the input of Mr Ian Kerr from the blacklisting organisation that controlled the secret list. Mr Kerr confirmed that the security services were supplying info to them and named some big business backers in the conspiracy, including one Irish Company. He spilled the beans and promised to divulge more. 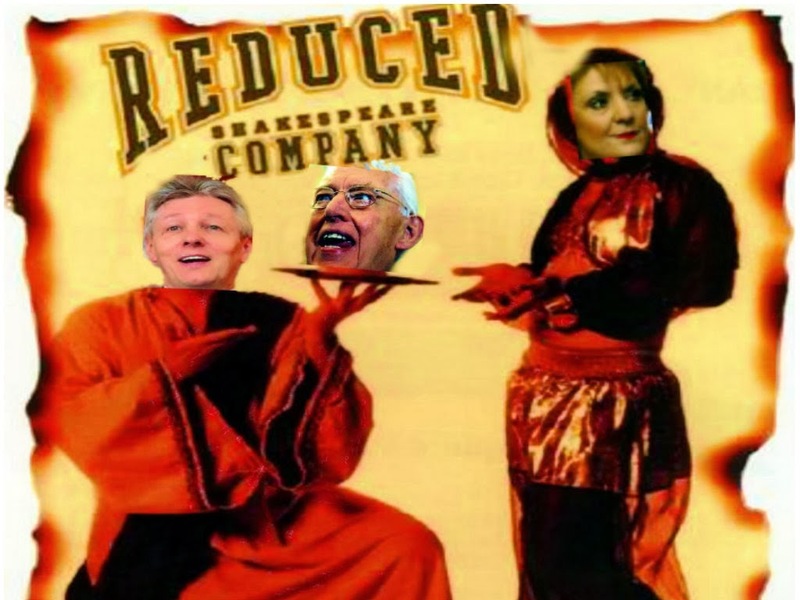 Regrettably Mr Kerr is no longer available as he has gone to the ‘abode of the blessed’, probably prematurely and conveniently. 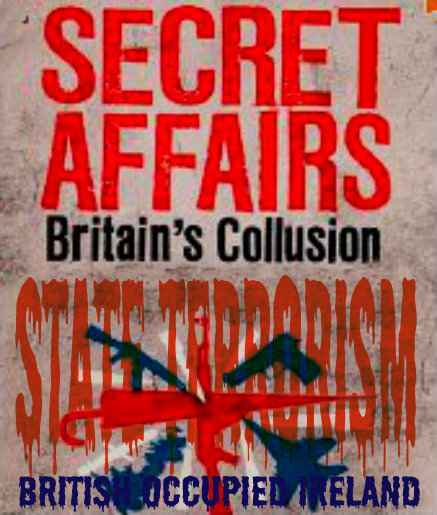 The mainstream media is keeping to the usual system line of suppression of the story as Kerr was probably an MI5 agent and no transcripts of the Inquiry Chaired by Ian Davidson MP have yet been published. There is little point of complaining and describing NI as part of occupied Ireland. Anybody with common sense knows that one’s development years determine where they constitutionally belong. There is not going to be any changes in this situation anytime soon, same as America is not going to be given back to the native Indians. However we have every right, as UK citizens, to demand accountability from the system. It is also the right of every citizen to lobby the Govt and the Crown and to expect that the normal rules of society enacted by Parliament are adhered to by the agencies of the Crown. I mention the secret Blacklisting of workers, as it exposes the fact, that successive UK Governments have condoned ‘Kangaroo Courts’ within the so called democratic system. 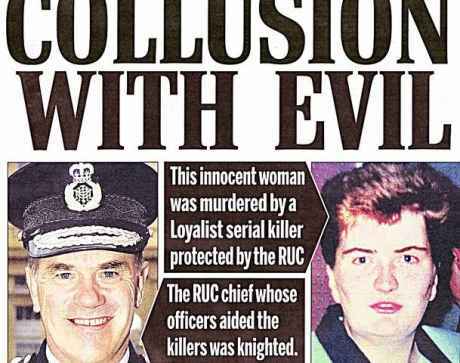 When these victims cannot get justice, how on earth could anyone expect the Finucane’s and the other victims, relatives, to make any progress in getting answers? There should also be some attempt made to advise anybody emigrating from Ireland, to the UK, to be wary that these sinister organisations exist with the backing of the state and that their activities could mean a person getting onto the list never works again. An early day motion for a Public Inquiry into blacklisting no 609 was proposed on the 19th October 2012. This motion was supported 66 MPs on the mainland but only one MP from Northern Ireland ‘Margaret Ritchie’ this speaks volumes for the type of Political representation in the province one can expect. There seems to be deficit of participation, integrity and credibility from NI politicians on the issues that must be addressed if we are to have any hope of retaining a semblance of democracy and accountability. In other words, the whole overall global situation with government corruption, crime, cover-ups, and impunity, may have have already "passed the point of no return" possibly? Though I believe there are plenty of people potentially capable of putting the theory into practice, they are all afraid (I suspect) of ending up in the types of situations Pat Finucane and Rosemary Nelson ended up in. 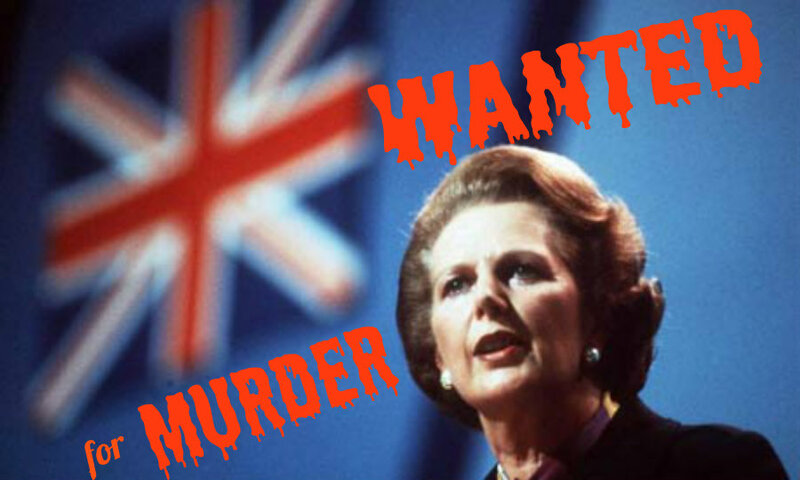 Who, in their right mind, wants to end up being violently killed by criminal government thugs who can commit all manner of extremely serious crimes with impunity? (e) Public officials and employees, in particular those involved in military, security, police, intelligence and judicial sectors, should receive comprehensive and ongoing training in human rights and, where applicable, humanitarian law standards and in implementation of those standards. "Impunity, government crime, corruption, cover-ups, human rights, Ireland"
As some will know yesterday was the Celtic "New Year's Eve" for certain people. I took the opportunity yesterday, New Year's Eve, the last day of the old "solar year", to update Dáil Éireann members regarding the "present state of play" (from my viewpoint) of the shocking situation -- as I see things, but which they appear to be totally blind to, or pretending to be totally blind to at least -- relating to the general issue of "government corruption, crime, cover-ups, impunity, Money Power Psychopaths, Human Rights, Ireland" (more at http://tinyurl.com/cg4d895).